What do an infertile young wife, an anxious long-time salesman, and a recovering alcoholic have in common? They all need God’s Word. And you will probably be preaching to all three on Sunday. Every worship gathering contains a multitude of people with different problems, needs, and stressors. Is it possible to reach each person in the audience with the truth of God’s Word? Yes, if your sermon has range. 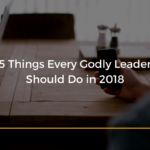 Just as range is important in ministry, it is also important in a sermon: you must be able to speak to a wide-variety of people. Too often, pastors preach messages they would want to hear. But ultimately that’s selfishness. What I mean is this: You shouldn’t tamper with God’s truth. But how the truth is presented matters too. Preaching like you’re teaching a seminary class may be interesting to you, but is it helpful for your congregation? If your text only applies to you, or people like you, you will not be an effective preacher. You must reach all different kinds of people through your message. 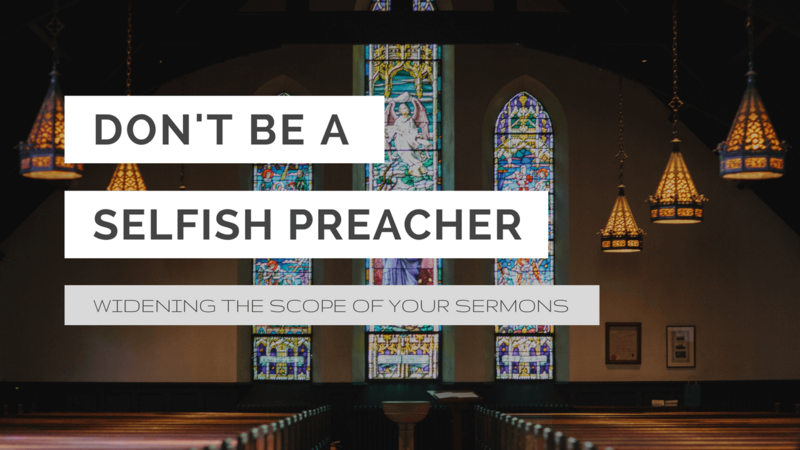 Because your audience will have a wide range of people in it, your sermon needs to speak to a wide-range of people too! Unfortunately, this is easier said than done. The two biggest temptations are to focus on a topic so specifically that you will lose the broader audience and to be so broad that you really speak to no one actually sitting before you. Your sermon can have too narrow of a focus. You might be too narrow if the majority of your applications throughout your sermon focus on one specific group (men vs. women, married couples vs. singles, etc.). You might be too narrow in your sermons if you can boil down your whole sermon to one sentence…and it applies to only one specific person! Remember, there is nothing wrong with “Big Idea” preaching – finding one unifying point for the whole message. But a “Big Idea” is just that – it’s big. It’s expansive. It leaves room for many applications. If too narrow of a focus in a sermon is bad, too broad is bad as well. 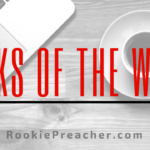 Having range in your speaking is not an excuse to have a rambling mess of a sermon. A good sermon should be focused, structured, and have a built-in tension which is resolved in Christ. If you try to speak to everyone in the room, you will probably speak to no one. So you do have to limit the “groups” you speak to. But you don’t have to keep it limited to the same groups week-after-week! Change it up and speak to new people. Learning to speak to many different groups of people while at the same time being concise and focus takes considerable practice. The investment is worth the time, however, as you will be able to expand the circles of your reach from the pulpit (or stage). You can learn to speak to many different groups by implementing a few simple changes and then moving into more long-term, habitual changes. The easiest way to get to know other people is to change up what you read. If all you read is theology produced by white men from Western culture, guess what your preaching will sound like? So read female authors and minority authors. Get a commentary series by those outside the United States. All these things will help you get different perspectives without ever having to leave your home! Reading biographies of Jonathan Edwards and not watching TV are not typical activities of people within our culture. In order to speak to people in the pews, you need to relate to people in the pews! So watch some TV shows on a Tuesday evening. Look through the best-sellers on Amazon and find out what “normal” people are reading. Pick up a hobby that doesn’t involve parsing Greek or Hebrew verbs. Go out of your way to make friends who are different from you. Spend time with those younger than you and those older than you. Spend time with those in a different socio-economic class than you. Pursue those in your congregation who might slip through the cracks: the elderly, the disabled, and the young. In doing so, you will find out their hopes, dreams, disappointments, and sins. If you know these, you will be able to speak to them more effectively. Your congregation needs the gospel. Every. Single. Week. And they need the gospel applied to their situations. So work hard at knowing the hearts of all your people in worship. Then speak the life-giving news of the gospel to them.